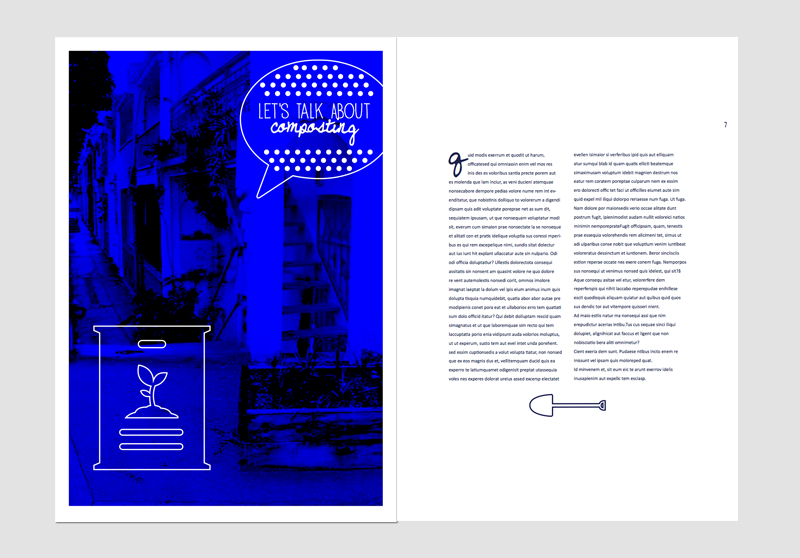 The purpose of this project is to increase participation and knowledge about local community gardens in Chippendale through the creation of four issues of a free magazine for the residents of Chippendale. Chippendale has well-established community gardens however, locally-based, practical information about the garden is hard to find. The magazine will encourage participation in the gardens and promote the Sustainable Chippendale Facebook page and website. The magazine will be completely environmentally sustainable so as to heighten community understanding of sustainable media. We propose to produce four issues of Myrtle themed on, and published to coincide with, each of the four seasons. Myrtle will be distributed to each resident’s letterbox surrounding the gardens, and to cafes, restaurants, bars, shops and galleries in the area.The publication will be designed by Sarah Craig and Alexis Clarke, two local professional graphic designers. The publication will be printed on 100% recycled paper, printed with soy-based inks, in one colour to reduce environmental impact. Each page will be perforated so that it has a secondary purpose as a recipe card, signage or artwork. Holes punched in each issue will encourage filing. When no longer required, the magazine can be easily composted in the bins provided by Sustainable Chippendale around the suburb.